entries about books, movies, life and just about anything. The fourth book takes us to the nine days before Lucifer falls for the second time with all the other fallen angels. Luce, Daniel and all thi friends work together to stop Lucifer from undoing the present. But to do this, someone has to sacrifice and Luce has to remember a life she could barely even grasp. I was speechless!!!! From the very beginning of the book I already have my suspicions about what Luce really is and in this book I also have another theory about her past. And I was RIGHT!!! I knew it. But I still couldn't believe it though. It was one heck of a love triangle of heavenly proportions. This book no longer has the frustrations that I once felt with the other books. It all made sense. I applaud Lauren on how she was able to tie all the knots. In the end I am sad and happy at the same time. Sad because some characters died in the process of saving the world. I wanted them all to live so it really made me sad to have them die. I am also sad because the book has already ended. I will miss this series. It grew on me. This is one love story that I will definitely remember. It showed love at its best for. Cam, is a confusing character but i can sense a lot of good in him. Throughout the book he radiated loyalty and love. Arrianne and her bubbly personality made a mark in me as a reader because she was the one to cheers Luce up whenever she is down. Gabbe and Molly to characters that are so opposite with each other. Gabbe is kind and Molly was just hateful but in the end their fate tugged a part in my heart. Roland and his sophistication along with his wit and humor will make me want miss him more. Luce although she is one frustrating character is also admirable. Her determination to find out the truth and her strong love for Daniel is truly admirable. Daniel is one guy that you would want to fall in love with you. He is somebody that every girl would dream of having. His love for Luce is admirable. How he waited for her, and endured the pain of losing her again and again for millennia made me love Daniel as a character. I will miss him. And all the other characters I will definitely miss them all.the thought that this series has ended brought tears to my eyes. I can't believe that this is the last book. I was happy and satisfied with the ending. I never thought about how this series will end. Nevertheless an happy and not one bit disappointed. Thank you Lauren Kate. You did a great job. A remarkable love story that will leave you breathless and wanting more. Sebastian has risen and now he and Jace are missing. But something is wrong with Jace; something is different with him, he is no longer the Jace he once was. Isabelle, Magnus, Alec and Simon tries all the means they could think of to get Jace back. However they must do this without Clary because Clary is in the middle of a dangerous situation that might cost her her life. That was an amazing read. From the first page until the last page I was just holding my breath. It was exciting and action packed. And there was no shortage of humor. Every character is funny in their own way. I still love the characters. I saw a different side of them. They have grown a lot in this book. Isabelle was a strong character and even though she rarely speaks her mind she makes it count. Alec starts to express himself more. Magnus, he is becoming more involve; he shows more of his emotion and his relationship with Alec changed him in more ways than one. Simon is more confident and braver. Clary is still stubborn but a lot of good things came out from her stubbornness and she is also brave and she never lets anybody dictate her. That is something that I admire about Clary. Lastly Jace, what can I say my fictional crush still got it going on. Aside from the fact that he is still a swoon worthy guy he is also witty and romantic and sarcastic in a funny way. I just love his lines. I don't know how Cassandra is able to come up with his lines but just keep it coming Cassandra. The least of my favorite character is Jocelyn. GAAAAAHHHH she makes me nuts! I understand her but I just don't agree with her ways of doing things. 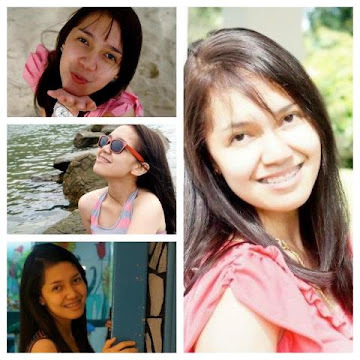 She is the I-will-do-what-I-think-is-right-I-don't-care-about-your-feelings character. She listens to nobody and I mean NOBODY! The plot is simple; good versus evil. But what made this book a hit for me is how it was laid. There was a lot going on that just kept tugging my mind. It lured me to finishing the book faster than I normally would have. Sebastian is the evil character here. He is one hateful, scary and annoying antagonist. I was soooo angry at him with what he did to Clary. The fight scene between him and Clary in the apartment was the hardest to read. I just want to rip Sebastian from the book and beat him up myself (LOL). For the most part I missed Jace. I was heart broken with what happened to him. I was glad though that he still has his humor and love for Clary. The whole time I was saying JACE SNAP OUT OF IT!! I am glad for the ending of this book. No more cliff hanging endings. HOOOORRAAAAY! The ending was just right. It makes the readers know that there is a next book and it gives them an idea of what the next book is about. Thank heavens for that! Heart-stopping, can't put down, forget-about-sleeping book you don't want to miss. Great work Cassandra! Godspeed is no longer run by lies and the people are no longer slave to Phydus. Elder has taken the position if the leader of the ship. But that is not as easy as it seem. Soon enough there chaos broke and a rebellion is in the air. Deaths and various of crimes rises. And Orion even in his frozen state still has secrets to reveal and he left clues for Amy. But someone is tampering with the clues. Who? and Why? Frustrating, exciting and compelling. The moment I read the first page I was like what happened? I thought I skipped a page. It was action from the start. There were already in the middle of something big. It was revelation after a revelation. After one problem another problem appears. It keeps coming. And there is this whole clue that Orion left for Amy that will leave you just guessing for what it is. In fact the whole time that I was reading the book I was focused with where those clues lead and who tampered them while I just felt pure frustration for the people in the ship and the problems that Elder encountered. I wanted to scream at them, to punch Bartie and to strangle Luthor, and then I wanted to slap Elder because he is being a pushover. Okay, okay I need to calm down here I am obviously being carried away. Although he showed a lot of efforts to control the people and stop Bartie, it was still not enough. He was overpowered by Bartie and the secrets he discovered. When Elder finally fought Bartie that was one of the best moments in this story. Maybe because I have been thinking about that the entire time Bartie is being such a smarty pants. The relationship between Amy and Elder also changed. They moved to a level where Amy is starting to open her heart for the possibility of falling in love with Elder. However, I am relieved that the book did not linger on her confusing feelings because it would have been too much. Maybe that will come in the book? Just a guess though. The only reasonable people on the ship are Amy and Elder. The ending of the book is different story. I was thinking why didn’t they think about that earlier? I keep on forgetting that the people there are raised to know only the Eldest system of government so even Elder would be caught up with that idea. It was a satisfying ending though and good start for the next book. This book made me emotional in a I-want-to-be-able-punch-everybody that kind of way, kept me guessing about the clues and that’s why it’s a good book because it left me with a lot to think about. Hey there everyone! 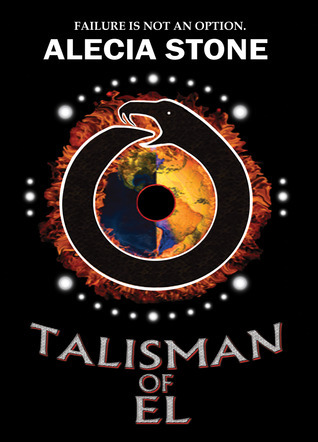 I would just like to share with you the ARC that I won Talisman of El a debut novel of Alecia Stone. I have read the excerpt of this novel and I am expecting a lot of action and mysteries to be uncovered. It starts with the question "WHAT IF YOUR WHOLE ENTIRE LIFE IS A LIE?" that just made me more interested. There are a lot of great reviews about this book so I can't wait to get it started and see it for myself. I will tell you all about it soon enough. It comes out this May 20. So, watch out for it. Thank you Alecia for sharing an ARC to the readers like me. The connection between Kat and Daemon is stronger than they thought. While Daemon tries to prove to Kat that his feelings is not a product of their connection, a new guy Blake arrives. But something in Blake makes Daemon distrust him. And the discovery that his brother Dawson might be alive unveils more lies in a world that Kat has stumbled upon. It just got better! This second book just raised the bar for the series. I had a lot of thoughts while reading this book and most of them is me gushing about Daemon. LOL. But before the girl gushing part, let me get to the story first. I have nothing to complain about the story. This book has a lot more complications compared to the first one. It is more about the secrets that lurks in the corners of the lives of the Luxen. However, this time around Kat is part of that secret because it turned out that they have more than the Arum to worry about there is the DOD (Department of Defense) )which is scarier than the Arum and the new breed of humans that is the people that the Luxen heals. Yeah I know it sounds so X-men. Lastly there is the possibility of Dawson being alive which revealed more lies and betrayal. There is a lot going on in this book but as I was reading it, it didn't feel that way because I know that they are connected. That got my brain going. Thinking what the connection is. It was teasing my brain. Half of the book was spent with Daemon trying to win Katy's heart and there were a lot of heart stopping, jittery feeling and Katy frustrating moments. Daemon is really changed here, he showed a lot of emotions and he became a much stronger character. I just LOVE Daemon in this book. He melts my heart into a pile of goo. LOL. I found myself smiling whenever he pursues Kat. I like the way the author made all the exchanges betwee him and Kat funny and romantic at the same time. And Kat was turning into this frustrating character that I wanted to shake more than a dozen times. No matter how much Daemon showed his heart she just refused to believe it. The worst part is that her being stubborn led to many bad choices. And even to the death of a character. I will not blame it all on her though. I mean as frustrating as Kat was in the book she has her reasons and the best part is that she came around in the end. This book has a lot of Katy and Daemon written all over it. They dominated this book. I am guessing it has something to do with the next book. This is one exhilarating, forget-about-sleeping, swoon over Daemon, action packed book that you would not want to miss. Yes, that is how good this book is. Kat just moved to Virginia just before she started her senior year. It was the worst thing that she could have imagined. No more friends, new school, new town and a neighbor she can't stand. No matter how much she wants to stay away from Daemon her friendship with his sister Dee just draws her closer to him. But something is different with Dee and Daemon and Kat is stuck in the middle of it. An exciting and different read for me. Every page is full of action and excitement. There was no dull moment for this book. It was like everything was moving fast. I love the banter between Daemon and Kat. It was hilarious and sometimes nerve racking. Especially because you read this book from Kat's point of view so you get a fair share of her frustration and irritation with Daemon. The attraction between the two of them is undeniable. I love the fact that Kat isn't a push over. She is a strong a character. This first book is an introduction to Daemon's world. Where everything is otherworldly. There are still more mysteries to be uncovered. Including a past that still haunts Daemon and Dee. I can't wait for the next book. Amy was frozen with her parents to be one of the people on board a ship and to wake up in a new planet they can call Earth. But something went wrong. And Amy woke up earlier than she was supposed to. Afraid for the lives of her parents, Amy must find the person who woke her up and expose the lies that has been running the ship all this time. This is my first read of a book that has something to do with space travel. I can say that I did not regret reading this book. It was exciting and mysterious. My only complain is that it was a really sloooooow climb towards the plot. So slow that it slowed my reading. It took me awhile to finish this book because the first few pages did not fuel my interest. And I admit I didn't understand it. Good thing patience kicked in and I pursued my reading. I would have regret not continuing it. When I read almost half of the book that was where the action started. I could not stop reading it. The ship was one twisted place to be. I would not want to be Amy and just be the only one to know that something was wrong. I could just imagine what kind of life they have on board. With their repeated routines and fake environment. It would have drive me insane. I was right all along regarding who the real murderer is. However there was so much more to the reason behind it than I would have guessed. In the end it was hard to decide who the bad guy is. It is more complicated than that. Lies, deception and plotting. Unravel the truth with each turn of a page. This is one space travel you don't want to miss. mylifeinprogress Copyright © 2011 Blogger Templates, Free Wordpress Templates designed by Gisele presents HD TV Fringe Streaming. Featured on Wedding Catering Singapore. if you happen to stumble upon this blog then i would like to extend my warmest welcome. i am a reader and a frustrated writer. welcome to emsquared. this is me and my life in progress.